Maryam Rajavi was born into a middle-class family in Tehran. One of her brothers, Mahmoud, is a veteran member of the Mujahedin-e Khalq (MEK), and was a political prisoner during the Shah’s regime. Her older sister Narges was killed by the Shah’s secret police, SAVAK, in 1975. Her other sister, Massoumeh, an industrial engineering student, was arrested by the clerical regime in 1982. Pregnant at the time, she was ultimately hanged after undergoing brutal torture. Rajavi joined the MEK as a young woman. Following the 1979 anti-monarchical revolution, she ran for a seat in Parliament from Tehran during the first parliamentary election in 1980. But, due to widespread voter fraud by the new fundamentalist regime, none of the opposition candidates made it into Parliament. Despite the fraud, Rajavi received over 250,000 votes. In 1993, during its plenary session, the National Council of Resistance of Iran, a coalition whose members include a number of Iranian opposition organizations and prominent personalities, elected Maryam Rajavi as the President-elect for the period of transitioning power to the Iranian people. As the President-elect of the NCRI, Maryam Rajavi has mounted an extraordinary political, social, cultural and ideological challenge to the ruling mullahs in Iran. Under her leadership, women have risen to hold key positions in the Iranian Resistance. Over half of NCRI members are women. They occupy various political, diplomatic, social and cultural positions in the Resistance. In December 2004, during a speech at the European Parliament, Maryam Rajavi proposed the Third Option, a clear prospect to resolve the Iranian crisis, which had caused anxiety on a global scale. Today, in the eyes of the Iranian people, Maryam Rajavi is the pioneer of the struggle for democratic change in Iran. In recent years, she has led a global movement comprised of some of the most celebrated political and social personalities, including former U.S. government officials and secretaries in the political and military arenas, as well as political personalities and parliamentarians from the U.S., Canada, Europe, and Australia. 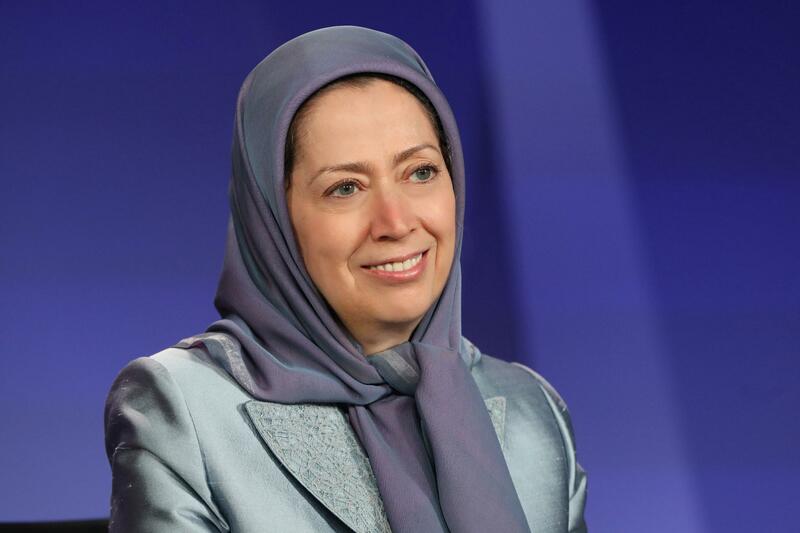 This international movement has attained significant victories in support of regime change and establishment of freedom and democracy in Iran through its support and recognition of the Iranian Resistance and the organized opposition in Camps Ashraf and Liberty. The movement has gained international credibility and legitimacy. Another front in the struggle led by Maryam Rajavi was a major campaign to remove the MEK from terrorist lists in Europe and the U.S. while exposing secret deals in the context of appeasing the clerical regime. These efforts led to the delisting of the MEK in the United Kingdom in 2008 and the European Union in 2009, as well as the dismissal of terrorism charges in the June 17, 2003 dossier by a senior French Investigative magistrate in May 2011 and the revocation of the MEK’s terrorist designation in the United States in September 2012. In 2009, the U.S. government transferred the protection and security of over 3,000 Resistance members in Camp Ashraf to the Iraqi government. On the orders of the Iranian regime’s Supreme Leader Ali Khamenei, then-Iraqi Prime Minister Nouri al-Maliki attacked Camp Ashraf in July 2009, April 2011, and again in September 2013, killing over 100 residents and injuring more than 1,000 in the process. Subsequent to these attacks, the residents of Ashraf were transferred to Camp Liberty under the auspices of the United Nations. They were attacked several more times by missiles and rockets, as a result of which dozens were killed and many more were wounded. The objective of the clerical regime and its puppet government in Iraq through these attacks was to completely eradicate the Iranian Resistance. Maryam Rajavi led an international campaign in support of Iranian Resistance members in Ashraf and Liberty, which included hundreds of statements issued by human rights organizations, numerous reports and statements by UN-affiliated organizations, and statements by thousands of parliamentarians around the world, in addition to multiple resolutions passed in parliaments and international institutions. Efforts in the U.S. led to the adoption of a 2016 resolution in Congress calling for the provision of security for the residents of Camp Liberty. As a result of these efforts and relentless international political campaigns, the PMOI members’ safe relocation from Iraq to Albania and other European countries was successfully completed on September 6, 2016. The PMOI’s relocation as an organization foiled the Iranian regime’s schemes to destroy and annihilate the Mojahedin at Camp Liberty, Iraq. In a call in August 2016 to the people of Iran and members and supporters of the Iranian Resistance, Maryam Rajavi announced the movement calling for justice for victims of the 1988 massacre in Iran. The movement’s demands included prosecution of all masterminds and perpetrators of the 1988 massacre, publication of the names, specifics and places of burial of all victims of the massacre, and announcement of the identities of everyone involved in making decisions and executing the slaughter. The Call for Justice movement rapidly grew both inside Iran and abroad and after 28 years, turned the massacre of political prisoners into a top issue of debate in Iranian society. The movement compelled the regime’s leaders to break their silence over three decades and speak up about this major crime. The families of martyrs embraced the call and their efforts to publish the names of martyrs and the documents on this crime, raised an extensive wave inside Iran. On the international level, the Iranian Resistance and jurists held numerous meetings which were followed by international condemnations of this horrible crime against humanity and calls for prosecution of those responsible for the massacre.